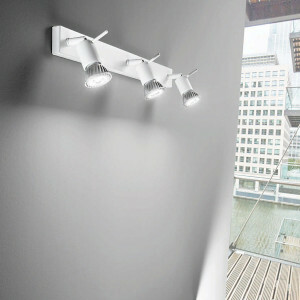 Wall-or-ceiling lamp with four adjustable lights ideal for enlightening the interior spaces with style. Squared base 20x20cm. 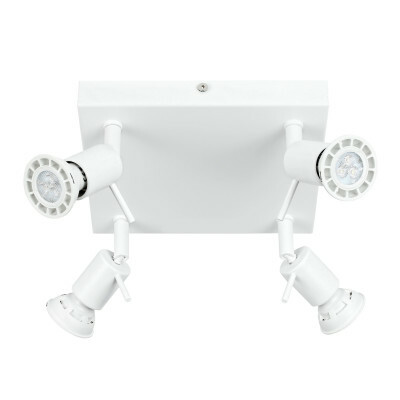 This lamp provides 4 GU10 bulbs for 42W spotlights. Available in: white, gray, chrome. 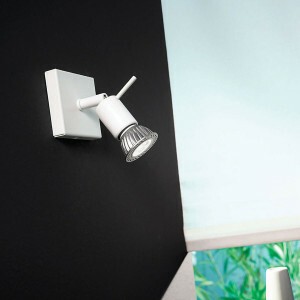 Wall or ceiling lamp with adjustable light ideal for illuminating indoor spaces with style. Squared base lamp, made of aluminum, 8cm by side. This lamp provides a GU10 bulb for 42W bulbs. Available in: white, gray, chrome. 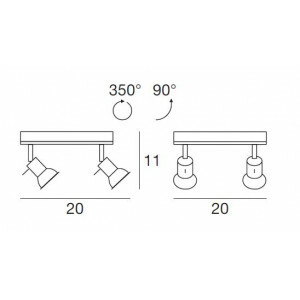 Wall lamp or ceiling lamp with two adjustable lights on a square base of 5x25cm. 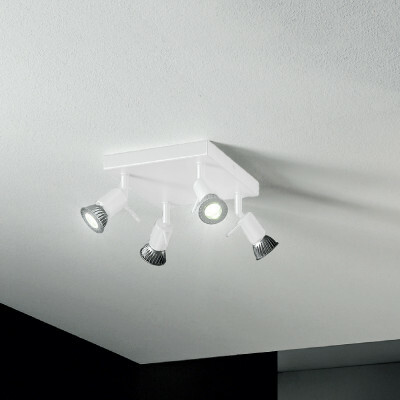 These adjustable spotlights are ideal for enlightening all the rooms in the house. 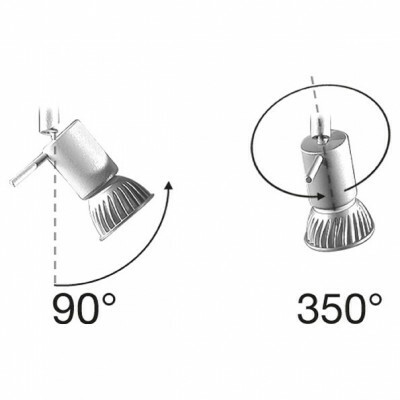 This lamp provides two GU10 bulbs for 42W bulbs. Available in: white, gray, chrome. 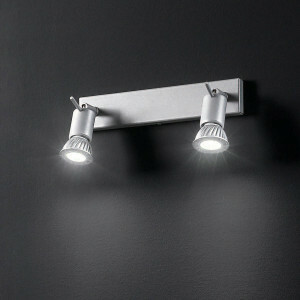 Wall or ceiling lamp for the lighting of modern home spaces. Square base lamp, made of aluminum, measures 45x5cm. 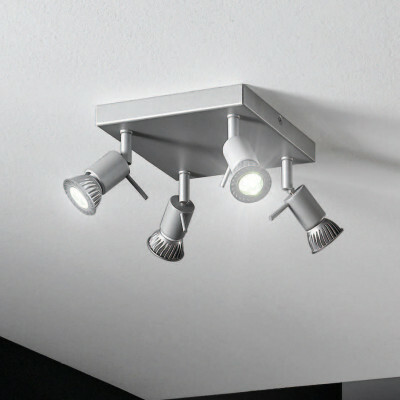 This lamp provides three GU10 bulbs for 42W bulbs. Available in: white, gray, chrome. Modern design ceiling lamp with four adjustable lights, ideal for lighting with style the interior of homes, offices and shops. 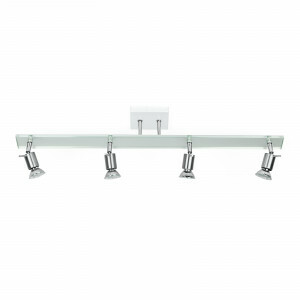 Rectangular base lamp with dimensions 80x20cm. This lamp provides 4 GU10 bulbs for 42W spotlights. Available in: white, gray, chrome.